The MEG/MSI Center located in St. Paul Minnesota is a multi-faceted clinical laboratory specializing in presurgical localization for tumor and epilepsy patients. 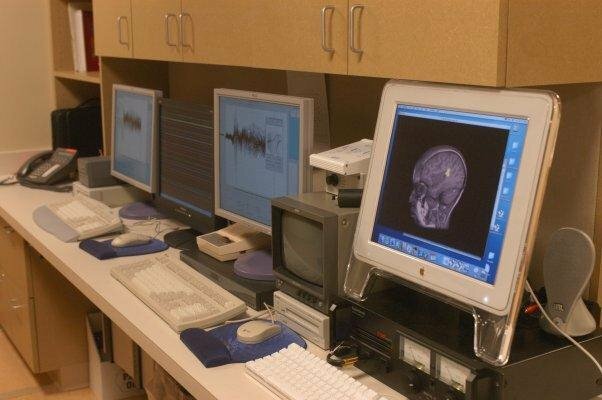 United Hospital, Minnesota Epilepsy Group, P.A.®, and the John Nasseff Neuroscience Institute established this lab in November of 2004. The lab is equipped with a 148 dense-array channel Magnes 2500 WH (4D Neuroimaging, SanDiego, CA), used in clinical applications and clinical research investigation, and is capable of millimeter spatial resolution and sub-millisecond temporal accuracy.